Simulate a plane flying through the sky seems something simple when it comes to three-dimensional games. But some games go beyond graphics and simulate all the activity of flying a plane. The point of being known as flight simulators, these games cross the line and have fun even as flight hours in some countries. Learn the best simulators for Windows, Mac, Linux, Android and iOS. Without a doubt this is the most popular flight simulator and the most comprehensive game. Flight Simulator began its history in 1980 and continues to teach players to date. The game, if we can call it that, has more than 25,000 airports and plays with perfection situations takeoff and landing almost anywhere on the planet. With an impressive realism, the game faithfully reproduces any type of aircraft built by man in the last 100 years. 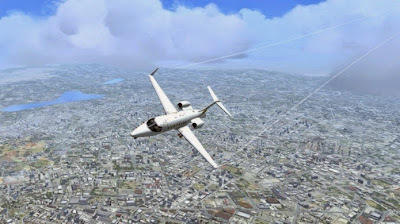 Additionally, Flight Simulator X also simulates virtually all operations that a pilot must perform, such as reading airmail letters, taxi, contact the tower and use all kinds of specific classifications of the profession. Much of the success is also due to FSX community, which is quite active. There fictitious companies and online games, where the player can talk to other pilots who will serve in other roles, such as flight controllers. Another flight simulator quite popular among commercial pilots is X-Plane from Laminar Research. With a different concept, X-Plane is, in a way, a step ahead of other simulation games. The program implements a realistic flight system where forces can act on different points of the aircraft structure, giving an aspect game professional flight simulator. In addition, X-Plane is one of the simulators with today's best graphic. X-Plane has certified FAA (Federal Aviation Administration), the body responsible for civil aviation in the United States. The number of planes is not as great as in Flight Simulator, but X-Plane keeps some surprises as missions in which the player must fly unusual aircraft such as the Shuttle spacecraft, also known as the Space Shuttle. 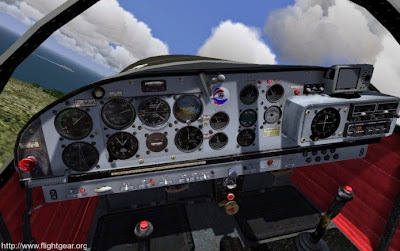 FlightGear is a free flight simulator and open source. 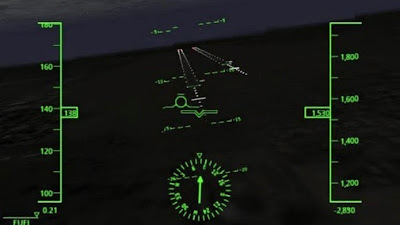 With versions for Windows, Mac and Linux, is clearly inspired by the FlightGear Flight Simulator. Currently, the simulator is in version 3.0 and now a staggering 400 aircraft and more than 20,000 airports. Another highlight of the new version is the ability to use real textures of cities across the OsgEarth plugin, creating an incredible immersive effect. Just like Flight Simulator, one of the highlights of FlightGear is the extensive community of developers and people who create content for the simulator. Despite not having a great graphic appeal, the simulator draws attention to use simulation systems with NASA algorithms. FlightGear formed the basis for a number of commercial simulators like Virtual Pilot 3D. 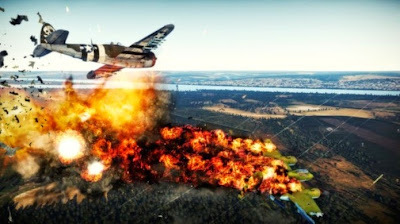 DCS World or Digital Combat Simulator World is a free online game that runs off a little of just the simulation line by placing aerial combat in the game. The game covers different eras and conflicts, ranging from World War II to recent conflicts. But don’t expect an elaborate campaign as DCS World missions are simple. 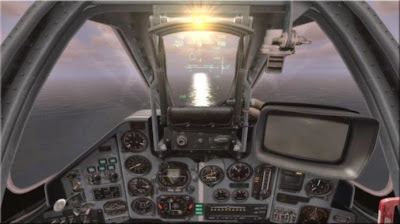 Despite having options for casual gamers, DCS World offers detailed cockpits and many simulation options. The graphics are the highlight with stunning visual quality. Although it is free to download and play, DCS World offers free just two aircraft and the remainder must be purchased via DLCs. "Dog Fight" is a concept of remaining air combat of World War II. 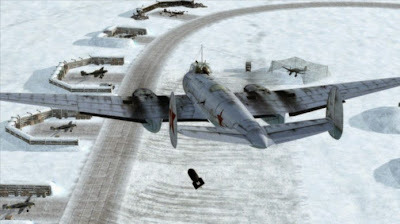 In those years, missions and jet aircraft were new and most of World War II aircraft even passed the 500 Km / h. While other games have boarded the conflict, such as Combat Flight Simulator, IL-2 Sturmovik steals the show by joining simulation and aerial combat in a very fun way. IL-2 Sturmovik is realistic enough to be called a simulator. In the game, the player faces the side missions of the Soviet Union and must fight the Nazis. The game was originally released in 2001, but receives constant updates and expansion packs with new missions. The latter, for example, came out in late 2015. X-Plane 9 is a flight simulator developed by the same company X-Plane 10. With versions for Android and iOS, X-Plane 9 is ideal for those who experience a direct simulator on your smartphone. The game differential is accessibility. Much easier than the PC version, X-Plane 9 you will not spend hours and hours trying to turn the plane. There are 10 free aircraft to test in six different regions. X-Plane 9 also includes a multiplayer mode. However, the game may disappoint those who expected a grid of complex objectives. Still, it by simulation on a mobile device. FighterWing 2 is more a set of planes that focus on simulation rather than unrealistic elements such as missiles in World War II aircraft. 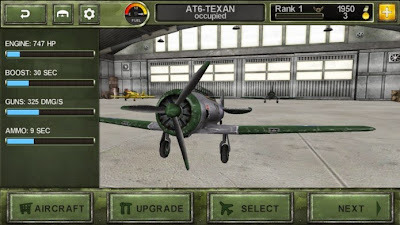 The game invites the player to fly classic aircraft like the Spitfire and Mustang P51 D. The highlight of the game is not the graphics, but the gameplay well calibrated. The controls are very well suited for touch screens, offering a good simulation experience, even with the proposed casual game. Altogether there are 10 stages, but you can vary the difficulty and increase the challenge. War Thunder is one of the most beautiful games of today's aircraft. Owner of a graphic realism jaw-dropping, the game features an extensive and immersive campaign mode, with dozens of thrilling missions. It is the most complete game on conflicts and simulation currently available. More than 350 nations from five different aircraft. The game has three quite different ways. In Arcade mode battles, ideal for the casual player, many gamers face off in online combat. The otherwise called Realistic battles places, as the name says, more realism in the game with less ammo and more lethal weapons. But the battles Simulator puts two teams in different nations to duel. Various physical elements that were discarded in the first two modes are present and make this last a treat for simulation fans. 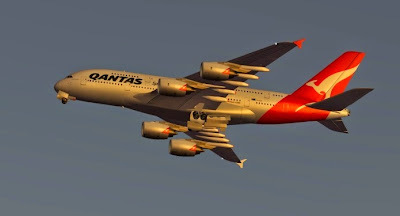 Perhaps the most popular simulator in smartphones and tablets is Infinite Flight . Reasons for this are many, but we can mention only one: the graphics. In high-end devices, Infinite Flight seems a complete simulator running on the mobile screen. Whether for a curious, or a pilot in training, Infinite Flight features advanced concepts with: ILS, flying letters, airways and more. There are 35 planes and 14 different regions. For beginners, the game features small classes with flight instructions such as takeoff and landing. 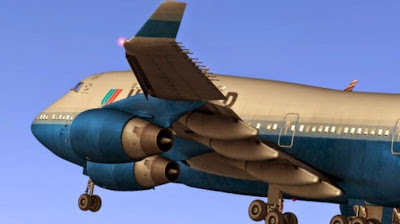 Infinite Flight, and simulator, has gaming features with missions and achievements.